Go Green – Urban Forest Nursery Inc.
UFN, Inc. began practicing “green” growing techniques from day one, starting with the decision to plant our trees in grow bags instead of the more traditional B&B. Click HERE to learn more about grow bags. 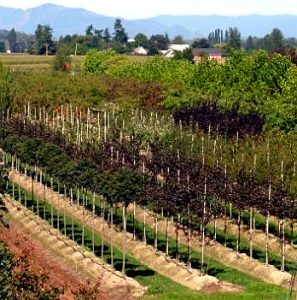 We also installed drip irrigation lines in all of our fields, to ensure all water is funneling directly to the root system of each individual tree, ultimately resulting in less water waste. Additionally, our digging, moving, and loading equipment is much smaller and more fuel efficient than a typical tree spade. 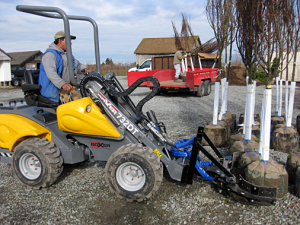 Our most recent addition, the Boxer, allows us to quickly and easily load two trees onto a truck simultaneously, without additional manpower, thus cutting our load time in half! Learn more about our production methods HERE.